Are you looking for quality products that capture memories? A great price and easy experience? 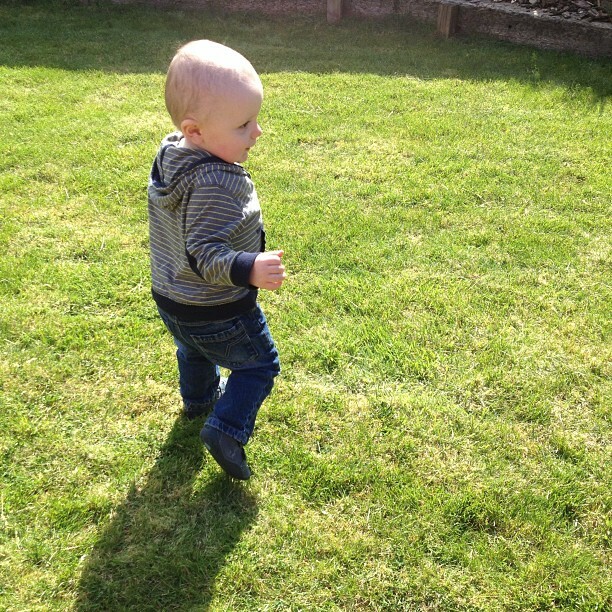 I am not the most amazing photographer but I love to capture as many memories as I can of Maxwell. Every photo I take, I want to be able to look back and remember why I took that photo. I use my mobile to take a lot of my photos and I often share my pictures on Facebook and on my blog however I very rarely print the photos off, meaning that over the last few years I have managed to loose a lot of them. 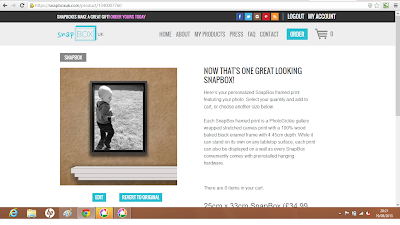 We were recently sent a voucher code to treat ourselves to a canvas from SnapBox. 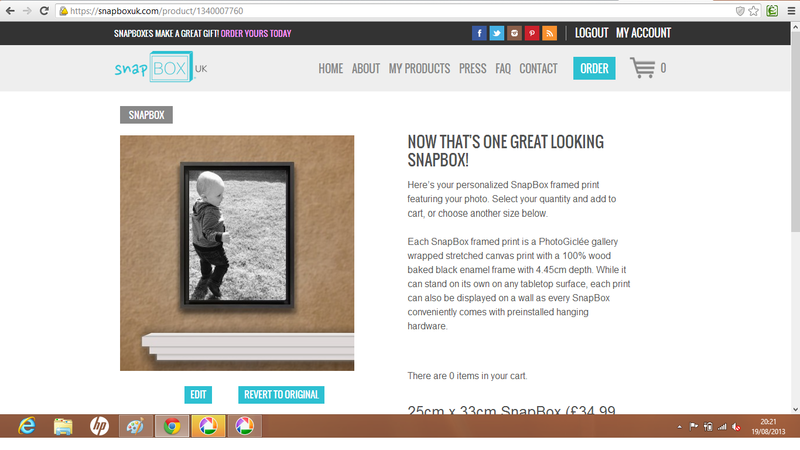 SnapBox is the photo keepsake that every photo deserves. SnapBox allows you to bring your stories to life. 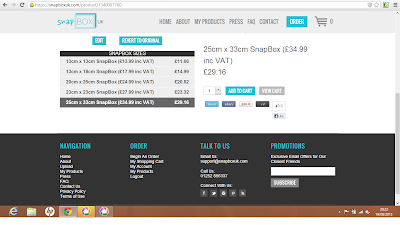 I popped over to the SnapBox site and found it was really easy to use. 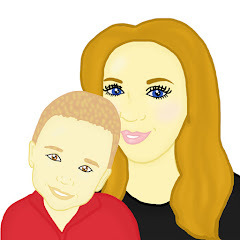 I simply downloaded my picture from my computer and uploaded it to the site. I was then able to choose weather to edit the picture or not. I decided to change it to black and white. I was then able to choose a size I wanted my picture and I was then able to place my order. I opted for the largest, 25 x 33cm which would usually cost £34.99. My canvas came 2 days after I placed the order. It was wrapped securely and packaged well eliminating any damage which may occur when transporting it to our home. Once unwrapped I was surprised at the high quality. free-standing on the mantelpiece or you are able to hang it on a wall as it has the fixtures to enable you to do this. The frame is a massive plus in my book. The canvas was reasonably priced and the quality was high however the only thing I would change about SnapBox is that they make larger prints. I would like to make a photo of Maxwell a feature point in my house however the picture we got is simply not large enough to let us do this and this is the largest size they do. 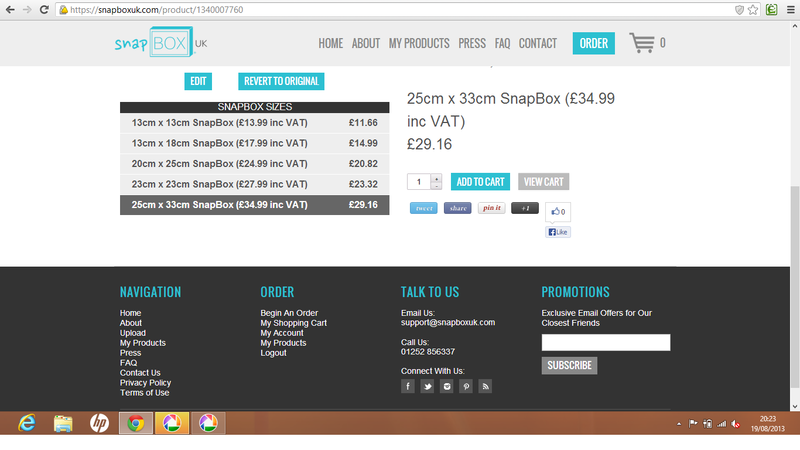 You are able to find out more information over on Snapbox's website.